Because science is never perfect! 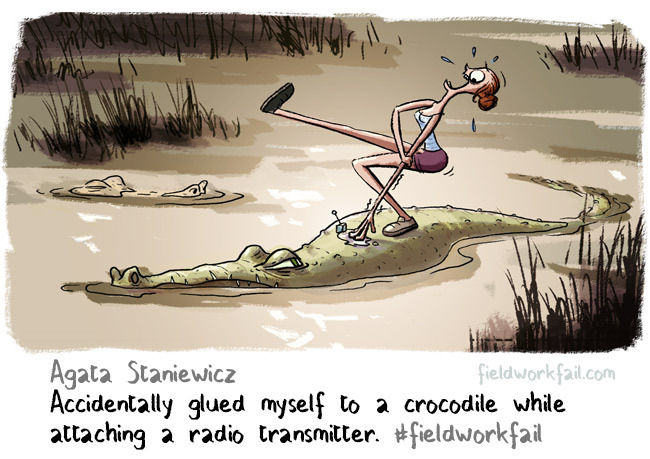 Inhaling fossils or getting glued to crocodiles, stolen by monkeys : the life of scientists working in the field has surprises every day! 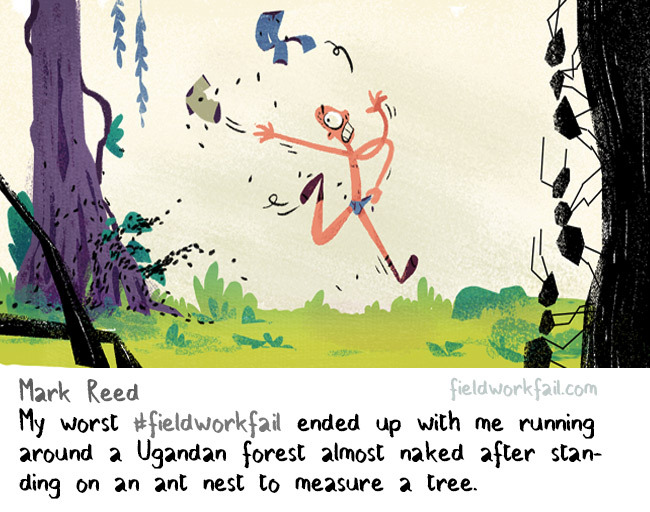 #FieldWorkFail was created originally in twitter to relate these amazing stories of biologists, botanists, mineralogist… and their blunders in the field. 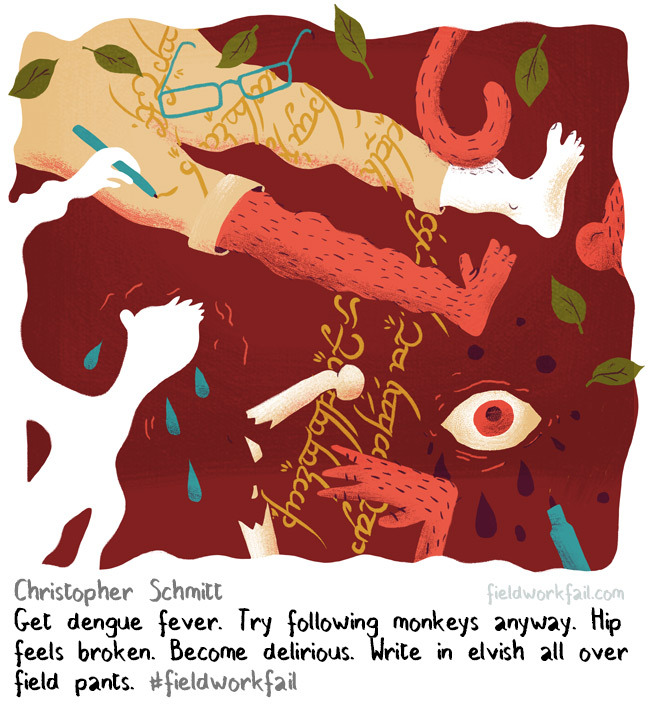 Since then, scientists from all around the world have shared dozens of these stories, and I illustrate them in this blog! 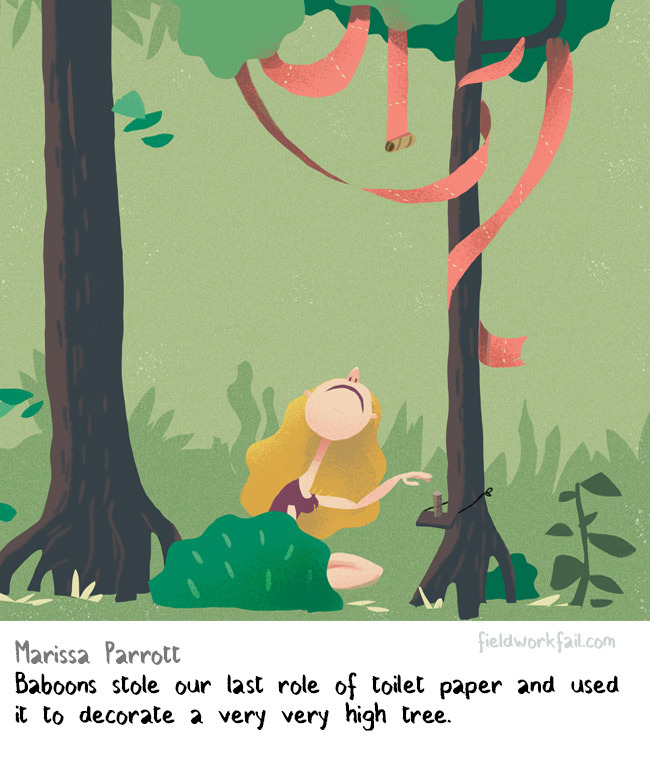 Here are a selection of these illustrations. 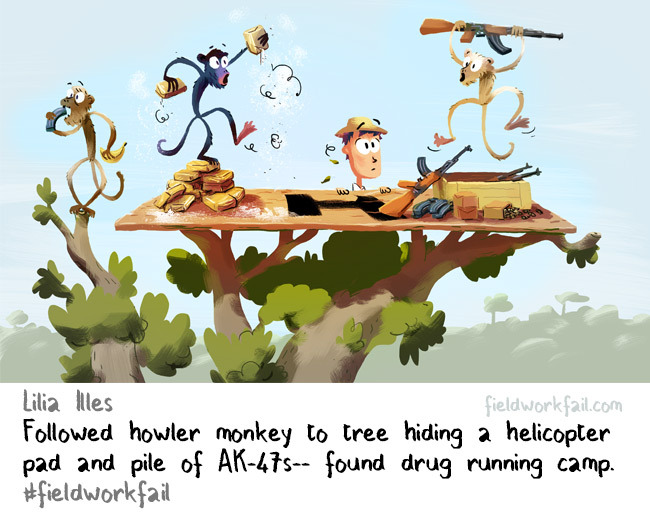 They are part of a book, funded on Kickstarter! 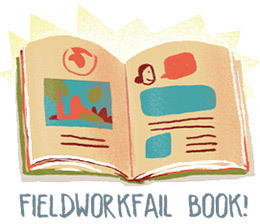 Update sept.17 : The fieldwork fail book is finished and printed! You have the possibility to buy it here. 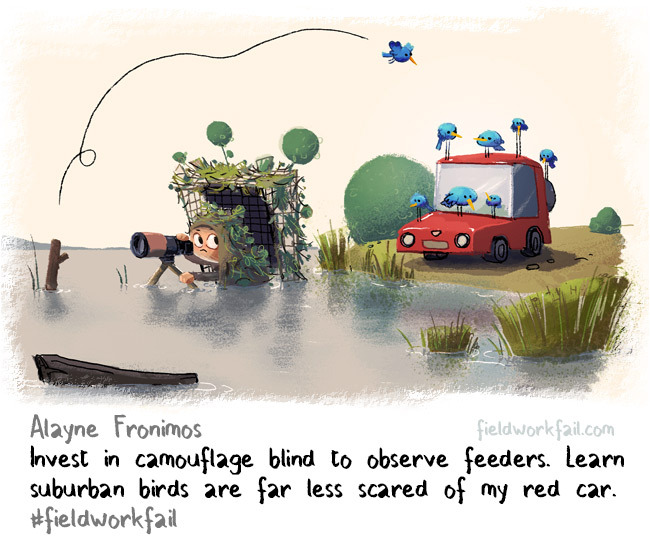 FieldworkFail is an opportunity for any curious people to raise the curtain hiding scientists work. 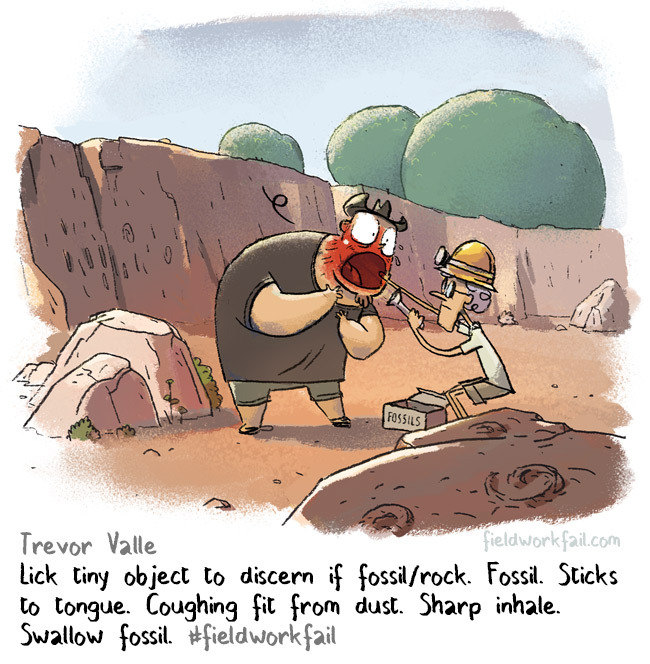 A very fun way to discover some process of science. 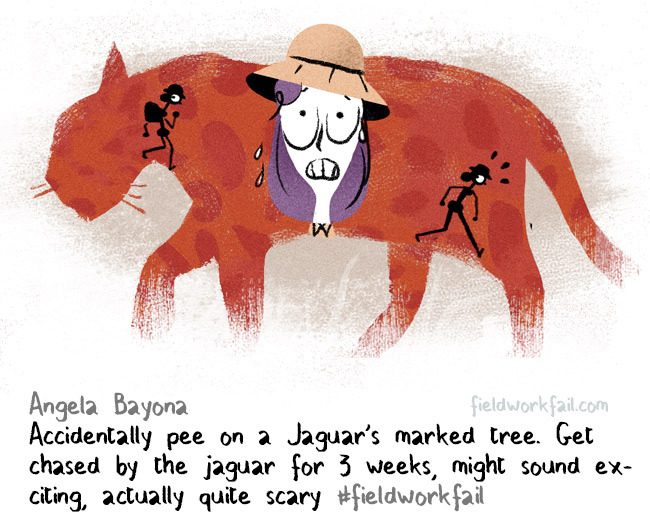 It was an opportunity as well to ask some questions to the scientists involved in the Fieldwork Fails and learn something, like the using of bees to separate elephants and villagers in Africa, or some facts about volcanoes or bats ! If you liked the illustrations, you can follow the Facebook Page, where you can see new illustrations once they are posted! 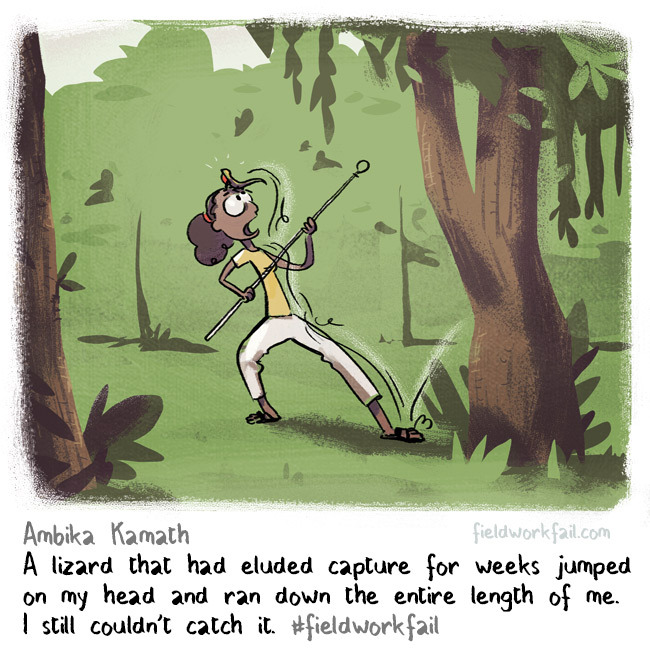 Last month I put forward the idea of making a book with all these Fieldwork Fail illustrations. 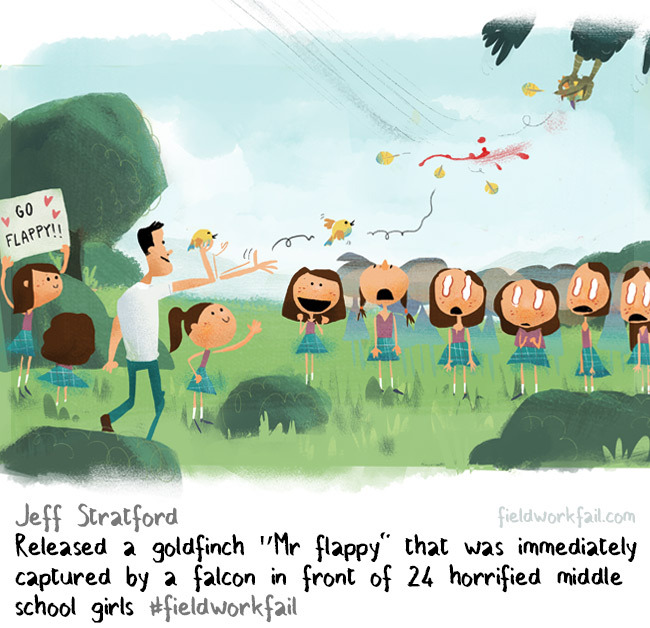 More info about the book here. update : the book is finished and printed. You’ll be able to order it here in a few days!